Anti-Hypertension therapy device & BP monitorng mobile app. PhysioCue developed an anti-hypertension therapy device that combines the bio sensor (PPG & ECG) technology for measuring blood pressure from the fingers, record and transmit the data via the Physiocue app. and a bio-sensor BP monitor paired with an app. In just 30 seconds - no blood pressure cuffs ! PhysioCue's therapy device is efficient, safe, easy to use, and has none of the side effects associated with anti-hypertensive drugs. $2.75M has been invested, to date, to develop, test and test market PhysioCue’s proof-of-concept devices, to perform our initial clinical study, to apply for U.S. and international patents, and FDA clearances, and to develop the enhanced-functioning PhysioCue 1.2 and 2.0 Hypertension Reduction Therapy Device with its embedded BP Biosensor and monitoring technology. One billion people, worldwide, have hypertension, creating an estimated annual drug market of more than $66 billion with a compound annual growth rate of 5.3%. One billion people, worldwide, have hypertension, creating an estimated annual drug market of more than $66 billion. But 50% of this global market remains untreated and untapped: Drugs are expensive, and can have severe side-effects that cause many patients to seek alternative treatments—or none at all. PhysioCue's therapy and devices immediately and sustainable lower blood pressure in hypertensive patients without the use of drugs. PhysioCue’s Hypertension Reduction Therapy Device is non-invasive, efficient, safe, easy to use, and has none of the side effects associated with anti-hypertension drugs. PhysioCue 2.0 device, it includes unique, PPG and ECG biosensors that measure blood pressure from two fingers, record and transmit the data, via the PhysioCue mobile app, to the cloud, for dissemination to healthcare providers. No blood pressure cuffs required! “Medical therapy devices” include Resperate (www.resperate.com), a biofeedback system that trains people to breathe properly, reducing their high blood pressure over 8 weeks. For severe Stage 3 hypertension cases, CVRx (www.cvrx.com) has a surgically implanted device, placed next to the carotid artery, that electrically stimulates the patient’s baroreceptors constantly, similar to a pacemaker. This solution is invasive, prohibitively expensive, and only appeals to Stage 3 hypertensives, which is about 3% of the market. There are no known negative side effects, no more additional blood pressure cuffs required. 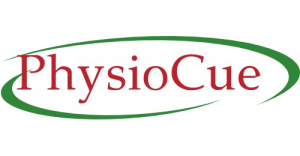 Internationally, PhysioCue is developing non-exclusive strategic territorial partnerships with added-value partners, so PhysioCue will not be manufacturing or distributing our devices In some cases, these partnerships will be in the form of joint ventures, capitalized by our indigenous partner companies. Domestically, we are seeking a North American distribution (and possibly manufacturing) partner. The $5mm can be used to market the therapy device, manufacturing and license the products and improve the reliability of the BP monitor device, which will provide recurring revenue from monthly subscription, and PhysioCue 2.0 certifications including UL, CE, FDA, prepare FDA 510 (K) clearance, complete additional clinical trials. Further device enhancements, additional biosensor product R&D, marketing and operating expenses, including IP additions to PhysioCue patent portfolio. Won first place of SVEF startup competition.